The USVBA is in the process of identifying DVBE companies that can provide Conference and Event Planning Services for Keeping the Promise 2019. The 19th annual conference will be held on May 7-8, 2019 in Orange County CA. Room Block Management – Be able to actively monitor the hotel room block to avoid attrition. The USVBA ED will provide the required room block numbers. 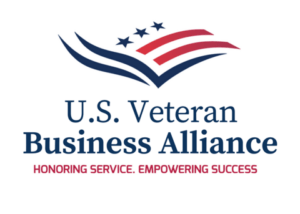 Leverage technology to communicate and keep USVBA corporate partners updated. Lower expenses by 30% by leveraging industry connections on behalf of the USVBA, through contract negotiations, F&B management and room block management. Be able to streamline time lines through an app that will show all events, speakers, vendors and registers. Expo hall management – Must have team experience when working with exhibitors from booth selection to developing all necessary documentation to lead retrieval. The event planning service RFP submitted may include bids from a single supplier or partnerships from multiple suppliers (i.e. different supplier for technology & Software/Services). RFP – This process is intended to receive the qualifications and price quotations for supplier event planning services Packages that meet the USVBA’s requirements. The USVBA will not limit the list of suppliers. Have access to technology for match making, conference applications to show all events, speakers, exhibitors and time lines. Have a unique connection to hotels and venues in Orange County CA. All interested companies with expertise, experience and the capability of providing high quality services for the above-mentioned work must respond to this Contract Opportunity Announcement in accordance with the schedule described below. 15 October 2018, Tickets, Expo booths and Hotel rooms go on sale. 30 October 2018, Mobile device application goes live with corporate partners, sponsors, Exhibitors, timelines, events, speakers and registers profiles. 1 April 2019 – VIP list announced. Outreach Event for the new Southern California Consolidation Facility.